London, UK – June 2017… For freelance sound mixer Tudor Davies, every episode of the BBC’s much-loved music TV show Later… With Jools Holland represents an ambition fulfilled. 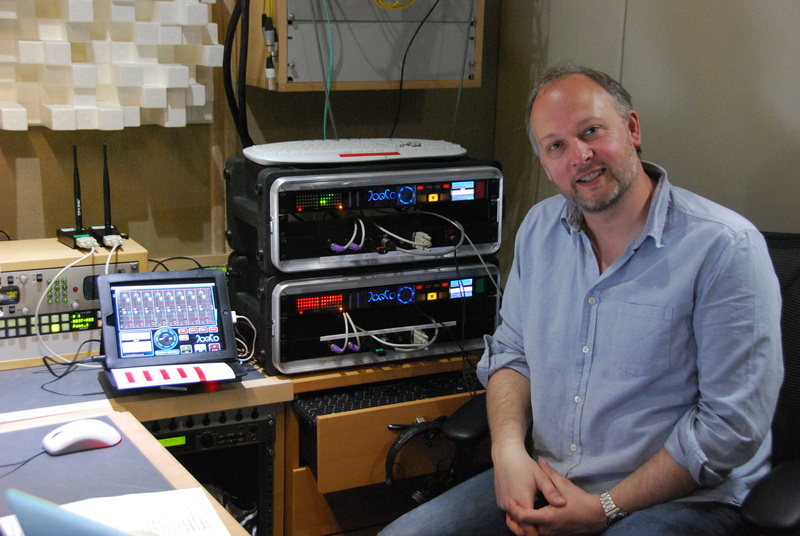 Having begun his 25 year career determined to become the go-to sound mixer for live music on television, he now counts The Glastonbury Festival as a regular gig, and he can often be found in Maidstone Television Studios, capturing performances on Later… With Jools Holland. He also knows that when he’s recording a live performance, his equipment has to be dependable. “Whatever way you look at it,” he says, “this is a mission critical job”. Having previously used a DAW-based set-up, he recently switched to JoeCo BLACKBOX BBR64-MADI multi-track recorders, describing them as “rock solid”. He continues, “I work on the show with Sound Supervisor Mike Felton, he’s the senior mixer who has mixed it since day one, and I’ve been his co-pilot since 2003. What happens on the night is we mix the show and produce various stems of drums, frontline, backing vocals, vocals, audience mics, reverbs and the rest, and actually by the time you get down to it, with a relatively small number of tracks you have the show and also the ability to do a 5.1 mix. We record 42 tracks in total and that’s what we take away with us. Ultimately, he concludes, it all comes down to reliability. “They are rock solid,” he says, “and rock solid works well on Later… With Jools Holland”.